We are offering a Free Carpet Pad Upgrade with purchase of carpeting! Get an 8lb, pet-proof scotch guard pad with your next carpet purchase from us! See store for details. Carrell Rogers Carpet One Floor & Home in Shepherdsville and Louisville, KY is your local neighborhood expert on all things flooring, especially carpet. Carpeting continues to be a top choice among homeowners because of its comfort and durability. Characteristics like pile style and fiber material play a role in how a carpet will look and function in your home. Things that you don’t even see like carpet padding and base material play a role in the life cycle of your carpet. Carpeting features classic styles that are unmatched by any other flooring type, and are incredibly durable. There is no other flooring option like carpet, and with several styles to choose from there is something that will match your home décor. Carpet can transform a space into something that is warm and inviting. With durable and stain resistant carpets, you will not have to worry about accidental spills and messes ruining your flooring. Our selection of carpet ranges from stain resistant to waterproof to ultra-plush. A stain resistant carpet is perfect for households with young children and pets who roam freely. Pile styles will play a role in how your carpet will look and function in your home. Some pile styles are denser than others to keep dirt on the surface, whereas other pile styles with disguise the dirt until you vacuum it. Carpet color is also important. Darker colored carpets or multicolored carpets are great at hiding fur and dirt until your next cleaning day. Knowing your fiber types is also important in choosing a carpet for your home. There are synthetic fibers like nylon and polyester that are resistant to staining and are very durable. Then there are natural fibers like wool, which retains color well, is eco-friendly, and also naturally allergy resistant. Carpet’s style and durability allows it to be installed in several areas around your home. The most common places you can install carpet in include bedrooms, living rooms, and home offices. You don't have to stop there though, durable and stain resistant carpets can be installed in hallways, on stairs, and even in a child's playroom. Part of our carpet selection includes waterproof carpets that can be installed anywhere in your home, including a finished basement. You should be sure to avoid installing any type of carpeting in kitchens and bathrooms due to the high levels of moisture, heat and humidity. We offer a wide selection of carpet flooring for you to explore in our showroom. As a member of the Carpet One Floor & Home cooperative, we have the ability to compete with the big box stores. In addition to the name brands we carry, we also offer our own exclusive brands including Relax, it's... Lees®, Tigressá®, and Innovia Extreme Clean™. Learn more below about carpet and be sure to stop by our showroom in Shepherdsville or Louisville, KY and speak with a flooring expert about installing carpet in your home. Carpet options can be confusing to choose from. There are stain resistant types, water proof, types, some that are allergy friendly. Read up on some tips about choosing the right carpet for your home. Not all carpet is made the same, just like not all homes have the same needs. 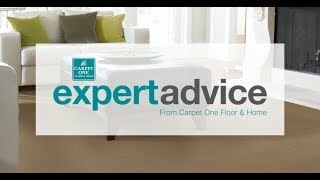 Here are some tips on choosing the perfect carpet for your home.